Posted On March 22, 2018 by Team iCynosure. I’ve always been a travel buff and my travels used to be spontaneous with spur of the moment plans. It really helps that DH also enjoyed exploring new places just as much as I did and was willing to throw caution to the wind during our travels. After #PrincessHeer was born we were extremely cautious about taking off randomly and started planning our holidays more meticulously. Over the last few years, we’ve learned a lot about what makes or breaks a holiday with a child. And we’ve also learned how travelling with a child is different from travelling in a group with many children. Just a few days earlier, my cousin, a new mom called me to ask zillion questions as she was to embark on a journey with her newborn for the very first time. I could hear the panic in her voice, similar to what I felt years ago with Heer. 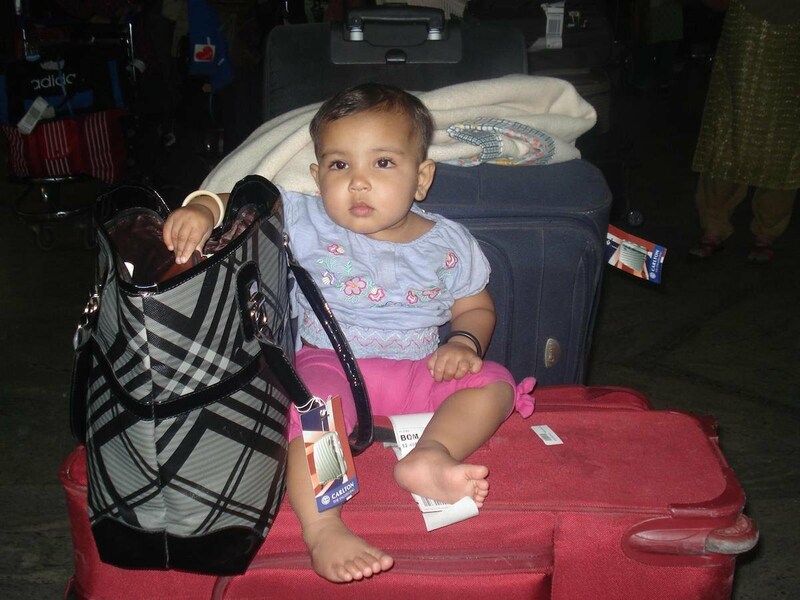 In preparation for her trip, I shared with her some of my most useful baby travel tips. However, since she was travelling alone, I also included an essentials list that I realize most moms overlook, putting the onus of these on the dad. A valid passport, usually with a minimum of six months validity is required for all international flights. Numerous countries offer a visa on arrival, however, with an Indian Passport, many countries still require a visa to be organized before the travel day. So, do ensure that passports are checked and visa received for a smooth check-in, custom, and immigration process. Apart from a visa, the next most important thing to obtain is a travel insurance to have the peace of mind should anything unexpected happen. You can get travel insurance online that will cover any issues that may crop up due to an accident, cover lost or stolen property and even help with flight delays and cancellations which may otherwise prove to be very expensive. When a child is travelling with one parent or with someone who is not a parent or a legal guardian to some countries, the accompanying adult should carry along a consent letter signed by the other parent or both the parents that they have permission to do so along with a bridging document like a birth certificate where both parents’ names are listed. It is important to get the letter notarized. Depending on your holiday destination and the kind of activities planned, it is important to check for any necessary vaccinations that may be needed before you travel. The safety and health of your child and your family are of utmost importance and sometimes you may not be able to travel without having undergone some tests and being vaccinated. Talk to your family doctor if you have any concerns. Yes, the right clothes, the right skincare essentials, and baby food are important as well and as a mother, you will ensure you pack all of that, but the above list is something moms need to ensure as well. So, get ticking and packing.